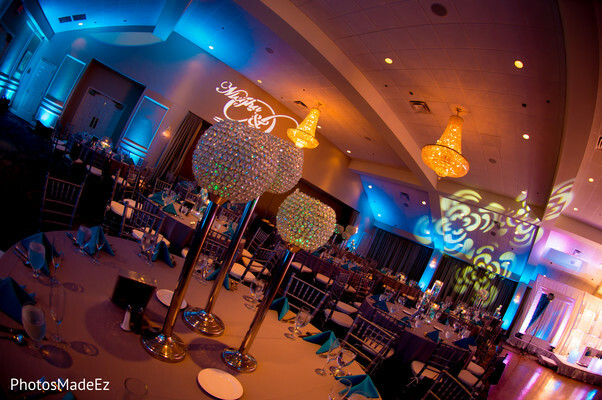 Ready to see Megha and Hemal's awesome Indian wedding reception, Maharanis? 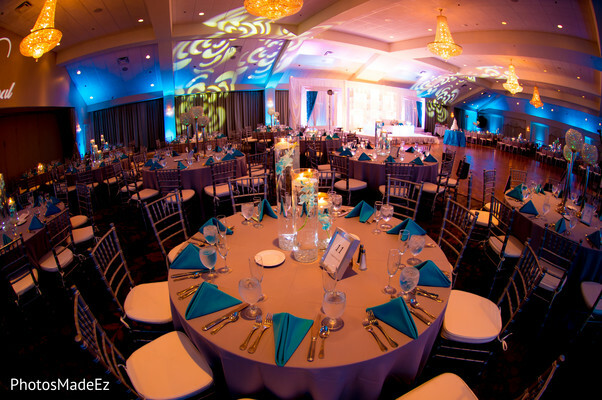 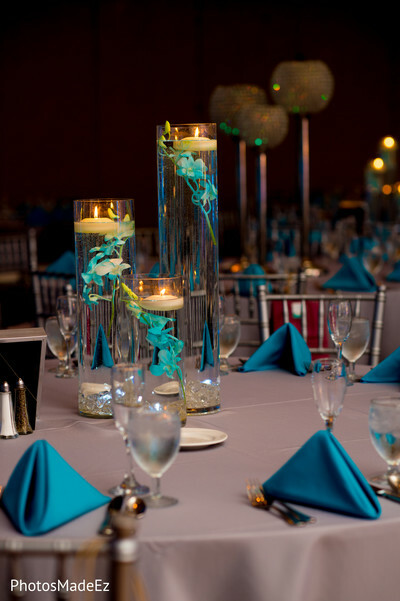 This turquoise-infused celebration takes place at the Springfield Country Club in Pennsylvania where Sajawat transforms the venue into an elegant wonder with vibrant floral arrangements swimming in candle-lit hurricanes. 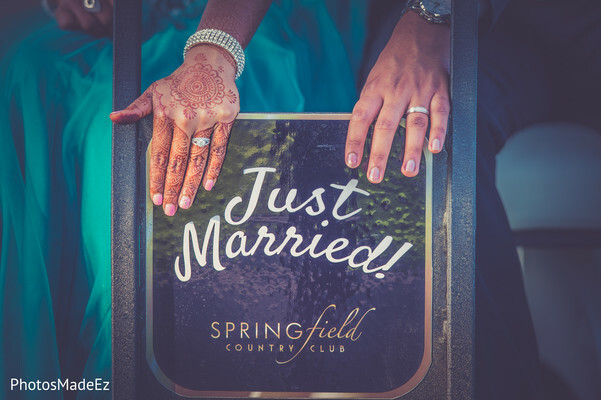 PhotosMadeEz takes gorgeous shots of the couple in their stylish reception attire. 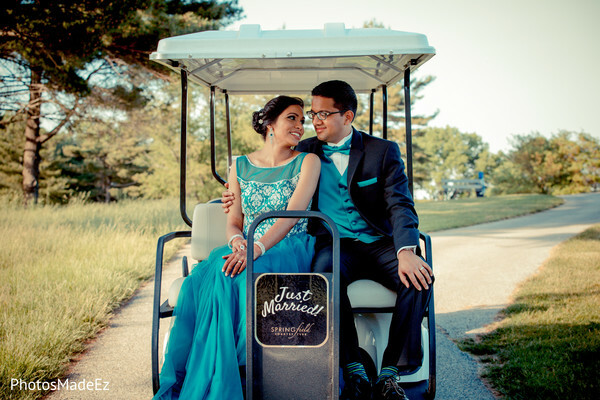 Megha is a dazzling delight in her turquoise ensemble with a charming updo by SV Bridal Concepts by Sanjana Vaswani, and her partner in crime, Hemal, is precious in a three piece suit down to his socks! 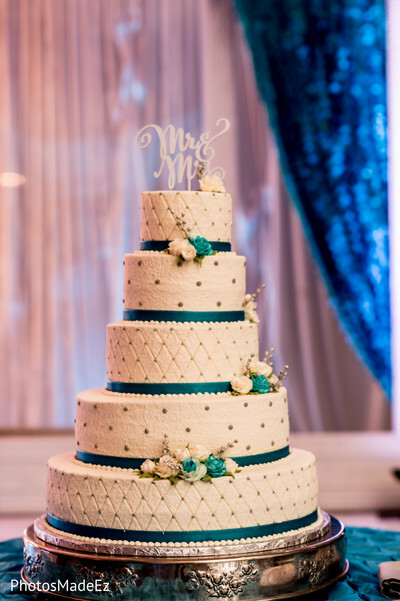 What a magnificent pair and what a lovely affair planned by One Events Management, which you can see in its entirety in the gallery! 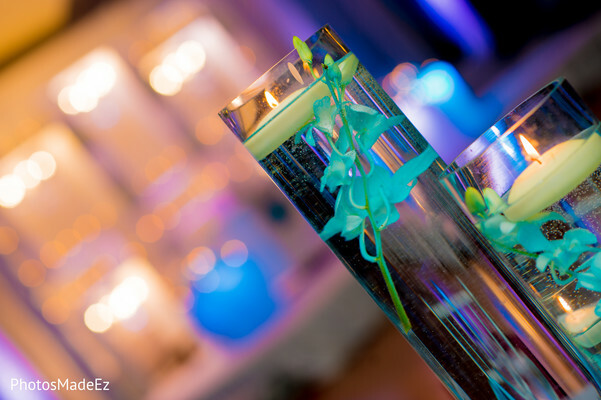 Have a wonderful day, girls!